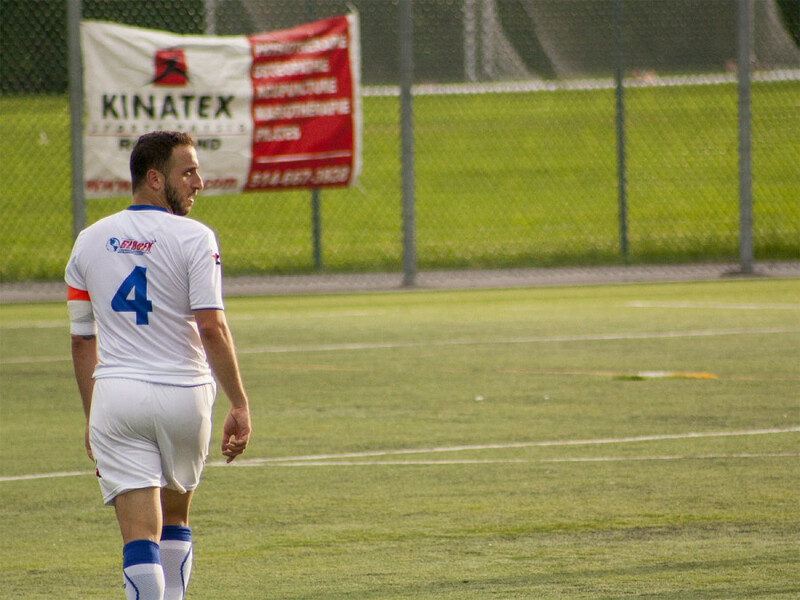 With AS Blainville clinching the top spot in the Première Ligue de Soccer du Québec—and a spot in next year’s Canadian Championship—the Club de Soccer Mont-Royal Outremont Griffons had nothing left to play for on Sunday night. First place was out of the question, but CSMRO were looking to end their season on a positive note, setting their sights for second place in the PLSQ. They would be left frustrated by the end of the 90 minutes, as they were forced to settle for a 2-2 draw against FC Gatineau. The hosts took the lead late in the first half courtesy of forward Ritch-Andy Jean-Pierre. A goal by Gatineau’s Michael Li would tie the game, but CSMRO responded immediately through forward Paymon Kabiri. Three points seemed to have been won by CSMRO, but substitute Baptiste Toussaint and Gatineau would have the last laugh. In additional time, a tap in from close range by Toussaint would settle the scoring, forcing CSMRO to the share the points. Players and staff took the game as an example of the on-field difficulties CSMRO endured throughout the season. Meterissian added that the team’s inability to finish and lapses in between plays throughout the season may have cost the team the chance to finish as PLSQ champions. “We gave away a lot of points, but not in terms of playing […] “It’s the little, tiny, defensive battles that we didn’t win. We didn’t go into those battles with that same energy that we did in past seasons. [We paid for it] and as you can see, Blainville are champions,” said Griffons assistant coach Eduard-Nick Pascalau. CSMRO captain Riccardo Teoli also let his discontent show, stating the season had been getting more frustrating game by game, adding that the team will beginning to be thinking about next year. For the first time since the league’s inception in 2012, the PLSQ, along with League 1 Ontario—Canada’s division three soccer leagues—will each have a team representative in the 2018 edition of the Canadian Championship. The national tournament initially regrouped the five professional teams in Canada and has now opened up to semi-professional soccer. The team that lifts the Voyageurs Cup earns the right to represent the country at the CONCACAF Champions League—a competition between the best clubs in North and Central America as well as the Caribbean. It was stated earlier this year that clinching top spot in their respective league would allow entry into the competition. AS Blainville clinched the top spot of the PLSQ on Sept. 30 with a win over FC Lanaudière. In finishing first, Blainville will become the first team to represent the PLSQ at the Canadian Championship. “It’s huge, and kudos to Blainville, they’ve been playing well for the past three years, they rebuilt their club, so they deserve to be there,” said Meterissian. “There’s an opportunity to play in front of a professional setting. I think [Blainville] will have a blast wherever they go play, and I think they’re going to represent the province well. Although the Griffons will be disappointed to not be representing semi-professional soccer in Quebec themselves, players and staff recognize the development and strides the league has been making since it began. Teoli has been playing in the PLSQ since its beginning in 2012. Before captaining the Griffons, he represented FC St-Leonard. He said that in the first two years, it was considered a really good ‘AAA’ league, but over the past few seasons it’s becoming a more professional setting. “If I have to think game one with St Leonard to this game right now, it doesn’t make sense. It’s a completely different league,” said Teoli. Griffons will pay a visit to PLSQ champions, AS Blainville as the two teams face off this Saturday.